Only one in four UK workers is better off than their parents were at their age, with career preparation in schools and the threat of technology on jobs severely hindering social mobility. That is one of the findings of a new study into social mobility involving 4,000 people, carried out by the Harrison Centre. 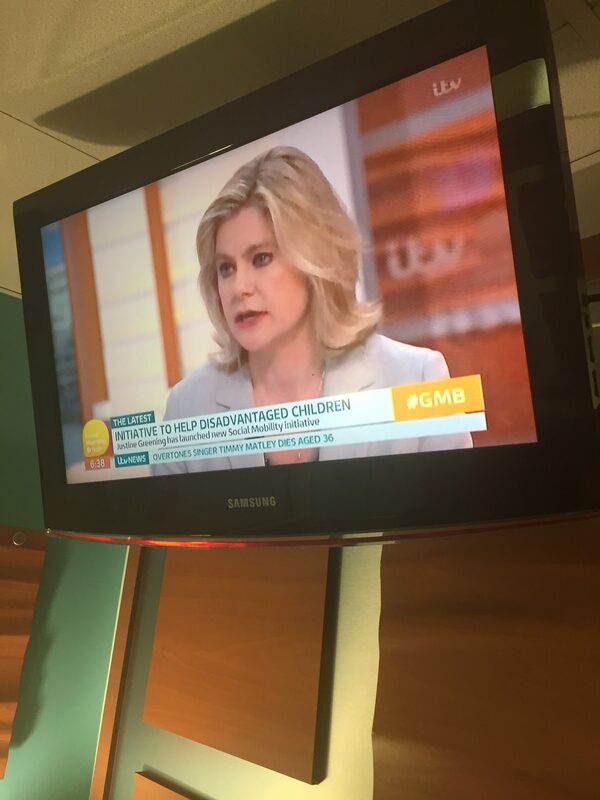 The research was debated on ITV’s Good Morning Britain today with Social Mobility Pledge chairman and former Secretary of State for Education, Justine Greening MP. Our data shows that just 26 per cent of UK workers believe they are more financially secure than their highest earning parent or guardian was at their age. Almost a third of the over-55s feel they are better off than their parents were, against a low of 23 per cent among 25 to 34-year-olds, according to the study. Social mobility is marginally higher among men, with 30 per cent considering themselves to be better off than their parents at their age, versus 24 per cent for women. Respondents in Edinburgh appeared to be the most upwardly mobile – with 33 per cent better off than their parents – compared to a low of 19 per cent in Sheffield. The Harrison Centre for Social Mobility (HCSM) was set up by David Harrison to improve digital skills, financial education and careers opportunities in the context of the 4th Industrial revolution. A lack of accessible job prospects beyond London to progress careers and earn more is an underlying barrier to social mobility. Respondents were asked to describe the amount of such opportunities within a 25-mile radius of their home. In London, 31 per cent of respondents said there were “lots of opportunities”, compared to just five per cent in Wales, seven per cent in Yorkshire and the Humber and eight per cent in the North East. Despite growing awareness in recent decades of the value of the above topics in schools, there is little sign of improvement for younger generations. The rapid advance of technology in the workplace could hinder social mobility further in future, meanwhile. HCSM’s research shows that almost a third of Brits fear their jobs will be replaced by robots within five to 10 years. This fear is at its highest among younger workers. Of the UK workers questioned, 29 per cent said they fear technology will take their job in the next five to 10 years. This rises to 34 per cent for 18 to 24-year-olds and 38 per cent for workers aged 25 to 34. People nearing retirement age were less worried about their roles, with 16 per cent of workers aged 55 and over citing concerns. We are working with former Secretary of State for Education, Justine Greening MP, to build on her Social Mobility Action Plan, published in December. adopting open recruitment practices that promote a level playing field for candidates, such as name blind recruitment or contextual recruitment. You can sign the Pledge and become an accredited social mobility employer here.